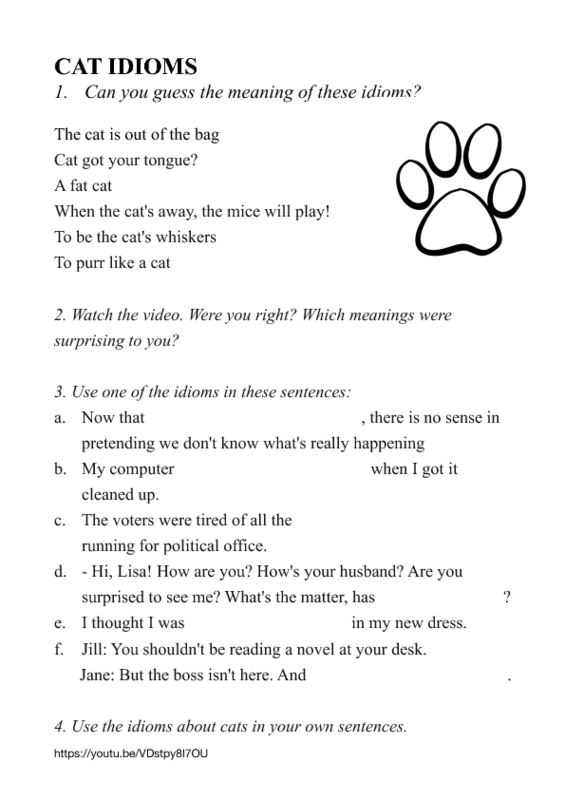 A worksheet for this video about cat idioms in the English language. Idioms included: cat got your tongue?, a fat cat, to purr like a cat, when the cat's away, to be the cat's whiskers, the cat is out of the bag. Your students will try to guess the meaning of an idiom first. Then they will check their answers while watching the video. Finally, they will use them in context, first in the sentences provided in the worksheet, and then in their own sentences.